Canadian Tire has announced that they are revamping their 60 year old loyalty program which has simply been known as Canadian Tire Money. 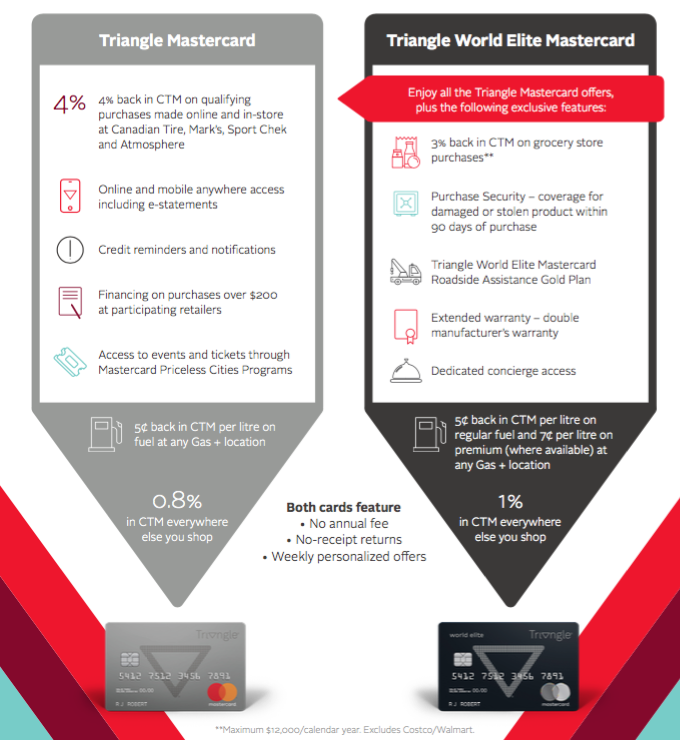 The program along with its Options Mastercards will now be known as Triangle, named after the iconic Canadian Tire triangle logo. It is being touted as the loyalty program's biggest revamp in 6 decades - a name change and updates to the Mastercards they offer from Canadian Tire Financial as well as a push to educate Canadians that you can earn Canadian Tire Money (still the loyalty currency of the new Triangle program) as places like Sport Chek and select Marks and Atmosphere locations. The latter of which we discussed back in January. What we don't know yet is what the earn rate of Canadian Tire Money will be at these stores when you don't use their credit cards. Update: Canadian Tire has reached out to us to let us know the Triangle Rewards earn rate without the credit card will be 0.4%. The program has never published a set earn rate previously and the terms and conditions say the earn rate will vary from time to time. Also will be interesting to see if you can double dip in the new program as the old program did not allow that, it just multiplied the earn rate if you did use an options credit card. The base earn rate of these new cards are quite weak and really only make sense for those people who shop a lot Canadian Tire, Sport Chek, Marks and Atmosphere stores. To confirm the process in-store – if the customer is not a Triangle Rewards member, or does not present proof of membership at the time of purchase, the customer will be offered physical Canadian Tire Money back if they make their purchase using debit or cash, otherwise, they’ll earn Canadian Tire Money back on their Triangle Rewards card. 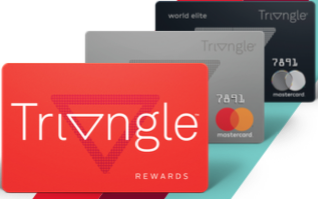 So it almost seems like there will not be a double dip - you'll earn 4% when you use the Triangle Mastercard at their stores, not 4.4% that would happen with a double dip if they allowed it. Once the new program is live and the credit cards are released we'll have more details and will also add the cards to our cash back credit card comparison charts.